Kid Archimedes harks back to a time when so many more of us built, repaired and improved the products in our lives. of today's children, too many of whom not only consume a steady diet of electronic media (think: glass screens of all shapes and sizes) but are consumed by it. We encourage children to think and act for themselves and to use their innate creativity to do work that will delight, entertain and inform. Paper and masking tape rockets that travel over 100 yards. 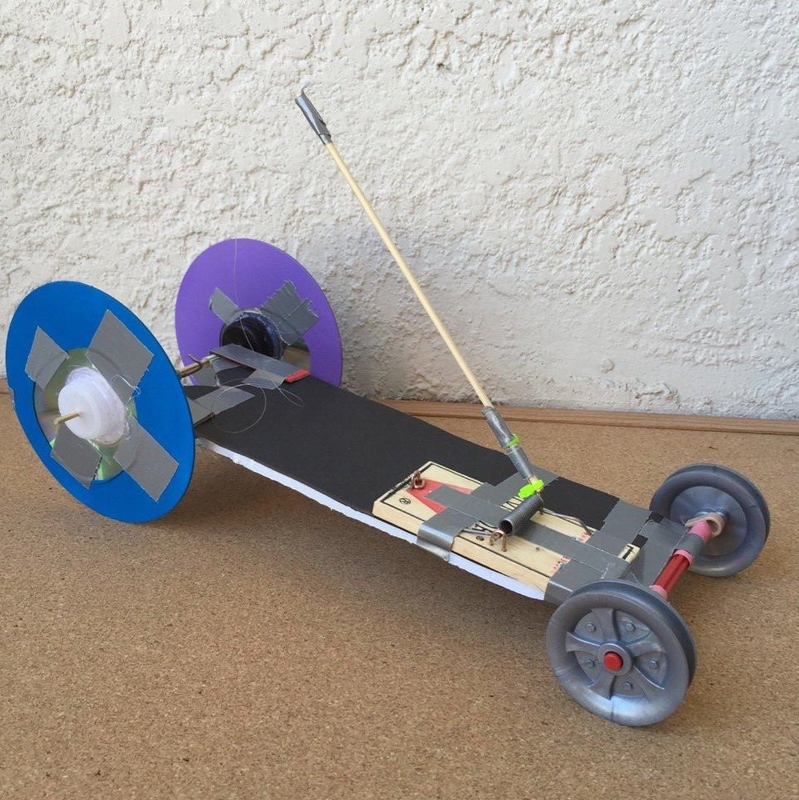 Propeller cars from water bottles, plastic wheels and rubber bands. Bridges and towers of uncooked pasta and glue, load tested until they fail. 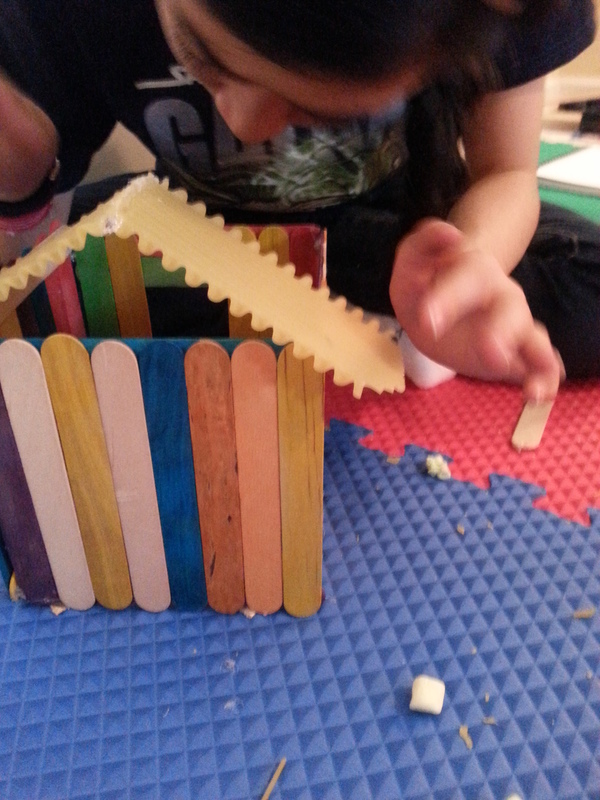 Cardboard, tape and MakeDo to build boats, castles, swords, shields and more. Jumbo LEGO bricks, wood blocks, boxes and more to build the structure of your dreams. Rube Goldberg contraptions to delight and entertain your family and friends. At Kid Archimedes we want children to enjoy imagining something in their heads as much as creating something with their hands. And when a prototype design does not work as originally imagined? They are resilient problem-solvers. In the words of Thomas A. Edison, "I have not failed. I've just found 10,000 ways that won't work." other creative projects to engage their heads, hearts and hands. them on the mantel; they use, wear and play with them. 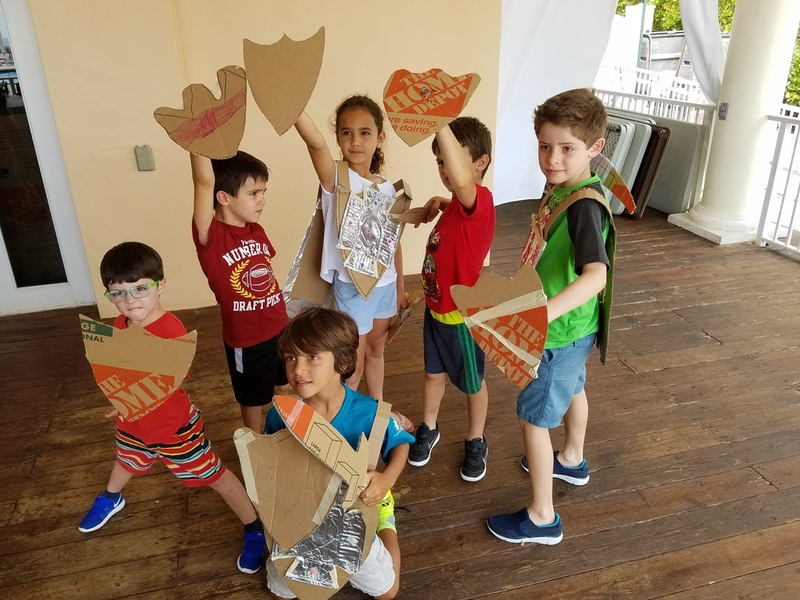 Our projects include: life-sized cardboard boats, balsa bridges, air-launched paper rockets, cardboard villages, miniature golf courses, tabletop games and many other creative projects. that are essential to success in the 21st Century. We can design a custom program to meet your child's needs and interests. 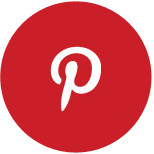 Check out our favorite videos! If you'd rather read something . . . 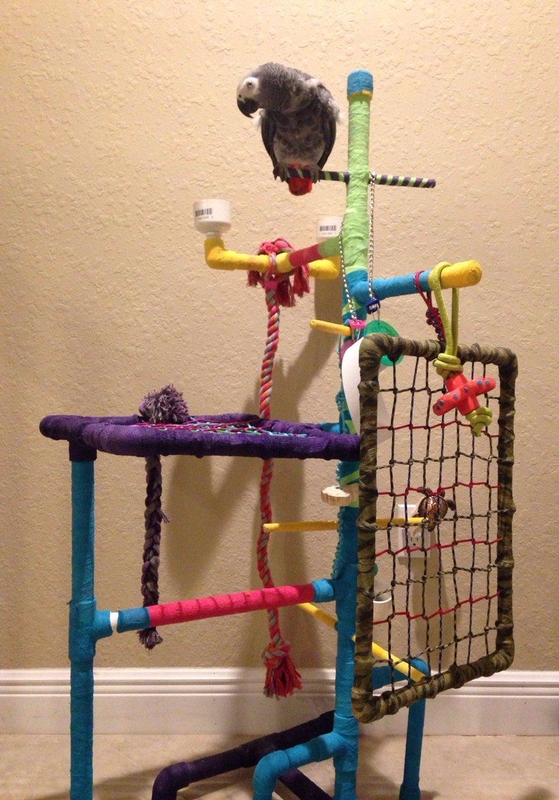 Kid Archimedes is the culmination of my 30-year career as a teacher, tutor and mentor. Currently a Florida-certified elementary and middle school teacher, I have taught math, science and engineering to students in independent schools from Boston to Brazil to San Francisco to Miami. We trace the current Maker Movement to the creative minds behind Make Magazine (makezine.com) and the Maker Faires (makerfaire.com) they started in San Mateo, California in 2006. In a word or two, the Maker Movement “celebrates arts, crafts, engineering, science projects and the Do-It-Yourself mindset." Here is how Mark Hatch compares the Internet revolution with the current Maker revolution: "The Web was achieved through a screen. This new revolution is about materials, tools, physical communities and bricks and mortar. The real world. The real world is big and will always be bigger than the Web." How is Kid Archimedes connected to the Maker Movement? The Maker Movement, spearheaded by the thinkers/makers behind Make Magazine, encourages girls and boys to use their imagination to design, build and test projects because they find this creative, engineering design process fun and engaging. Mark Hatch, author of The Maker Movement Manifesto, writes, "We were born to make. Everyone has ideas, though most stop fantasizing about them by the time they hit middle school. By then, they have learned that there is a single right answer to every question. That their art is either good and looks like the thing they are trying to draw, or not---and, therefore, they are not artists. But the rules for success in the twenty-first century are emerging, and they are radically different from the rules in the nineteenth and twentieth centuries. You can make art, you can create, and you can sell those creations. Here is the thing: You must learn to learn. The age of being a cog in a big machine is over." At Kid Archimedes, children aren't cogs in a machine---they build the machines! Why should my child join a club sponsored by Kid Archimedes? Some of our young students tell us, after only a few classes, things like “I can’t wait to grow up, study at M.I.T. and become an engineer.” While that’s nice to hear (we love working with students with clear dreams and high standards), rolling out the next generation of S.T.E.M. majors or workers is not our raison d'être. Of course, we see the connections between S.T.E.M. and the Maker Movement. However, we focus on much more than the narrow consideration of cultivating college majors. After all, we work with elementary students! More important, we’re simply more interested in nurturing students’ skills in the areas of creativity, critical thinking, curiosity, collaboration, communication, competence and compassion, what we call “the 7 C’s.” If our efforts to help cultivate a new generation of Makers pay dividends for students in high school, college or beyond, that’s music to our ears! But my child isn’t into LEGOs, doesn’t play with blocks anymore, and isn’t very artistic. Should s/he sign up for a club or camp? The short answer is yes. An emphatic yes! We believe all children are born scientists, engineers, artists and makers. We find that today’s generation of children, the so-called “digital natives,” crave the sort of analog, hands on, real world experiences we provide---the chance to work with a simple tool and some common, found materials, in a safe, collaborative, child-centered and -driven environment. Also, for too many students today, caught in the whirlpool of high stakes standardized testing, the chance to get away from one's desk and chair in order to work with one's hands in a workshop or maker space, ignites the imagination and offers great comfort, even fulfillment. What do you do that parents can't do themselves? We bring over 25 years of elementary teaching and curriculum development experience to the table. Our expertise is multifaceted: we find great projects to do with young kids, some of which have delighted students in science classes for years; we provide all tools and materials; we perform quality and safety control (every project we do with kids has previously been done or built by us, sometimes several times over); and we work in thoughtful ways with large groups of 15, 20 or more children at a time. 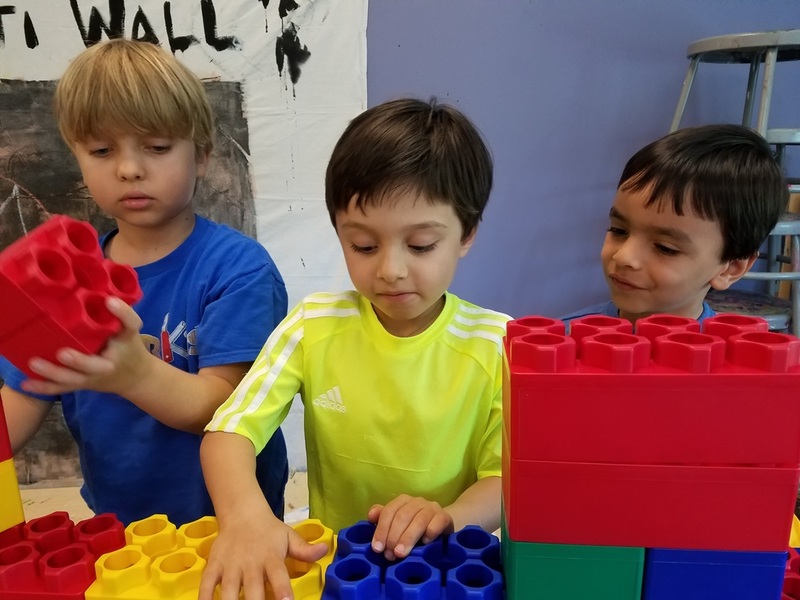 Finally, we don't only teach the skills needed to build a single project; we teach creativity, critical thinking, collaboration, and much more! Is what you do really just arts & crafts? No. Our projects aren't meant to be displayed on a shelf or stuck to the refrigerator. 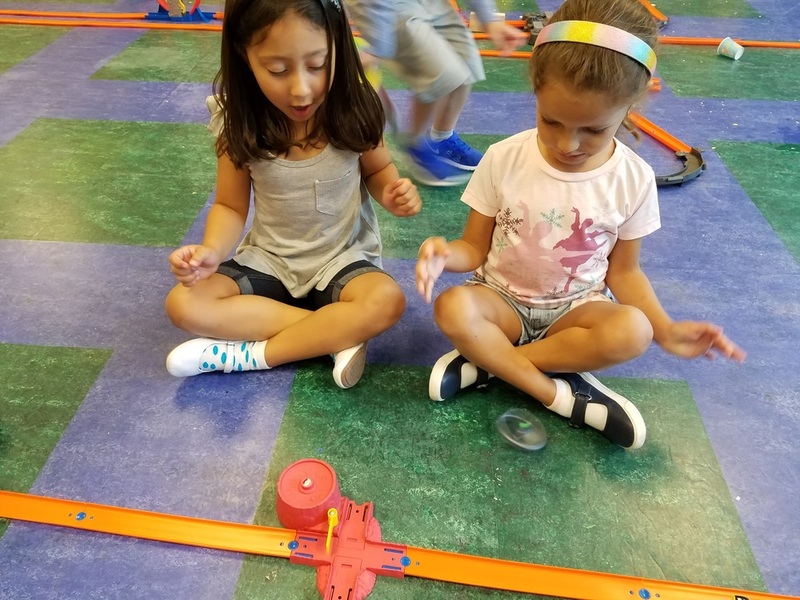 Kids in our clubs and workshops follow the engineering design process (imagine, design, build, test, improve) to make things they can test, wear, use, or play with. Kid Archimedes, Inc.© 2015 - 2017 All rights reserved.